A taxi driver who refused to hand over money was stabbed by two of his passengers who then stole his car. 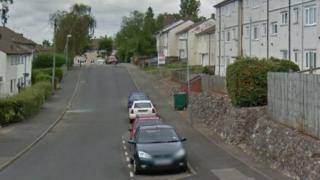 West Midlands Police said the pair knifed him after demanding money in Gildas Avenue, Kings Norton, Birmingham. between 18:30 BST and 19:15 on Sunday. The 43-year-old was taken to hospital with injuries not believed to be life-threatening. No arrests have been made and police are recovering CCTV from the area. A police spokeswoman said: "Two passengers in the taxi demanded money from the driver. When he refused and got out of the taxi they followed him and stabbed him several times, before driving off in his taxi. "The car was later recovered from an address in Heathlands Grove, Northfield."